According to the Washington Post Fatal Force database, at the time of completing this article, 519 people have been killed in fatal police shootings in the United States in the year 2018 so far. Mitchell Crusto, the Henry F. Bonura Jr. Distinguished Professor of Law at Loyola University New Orleans College of Law, notes that most years the death toll for police shootings is over one thousand. It’s a chilling statistic that organizations like Black Lives Matter have been helping to draw attention to, raising awareness of the fact that a disproportionate number of black lives are lost at the hands of police each year. Yet, despite the high number of fatal police shootings, Crusto says that officers are rarely prosecuted, and those who are brought to trial are rarely found guilty even when the evidence suggests otherwise. In his recent article “Right to Life: Interest-Convergence Policing,” which presents a case study of police that used lethal force in an unjustified manner and almost got away with it, Crusto explores the issues and argues that low prosecution rates are due to United States Supreme Court decisions that establish an extremely high criminal liability standard for police use of lethal force. This high standard keeps many victims and their families from seeking justice and inhibits increased regulation of lethal force. In order to ensure transparency, due process, and equal protection under the law for all victims of fatal shootings and their families, Crusto argues that the criminal liability standard must be lowered and that there should be federal legislation regulating the investigation and prosecution of police officers’ use of lethal force. He discusses his article and proposals for reform in the interview below. In your article you say that despite over a thousand people being fatally shot by police officers every year, few officers are prosecuted and those who are, are seldom found guilty of unjustified use of lethal force. What are the key factors at play that are allowing this to go on? MC: As documented in my article, the answer to this important question is that the United States Supreme Court in some key decisions has provided police officers functional immunity from prosecution for use of lethal force. These decisions don’t expressly provide for immunity, but set a very high standard for holding an officer liable for unjustified use of lethal force. What this results in is the lack of an effective regulation of and a failure to redress wrongful use of lethal force. For many, and especially for members of the African-American community, this results in feelings of intimidation and a sense of injustice. 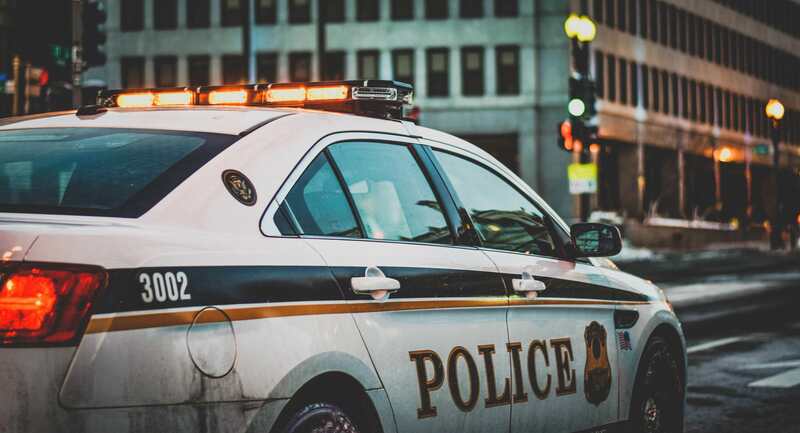 How have leading United States Supreme Court decisions impacted the criminal liability standard for police use of lethal force? MC: They functionally provide immunity from prosecution. By establishing a subjective standard of review - whether an officer believed that he or another was facing imminent danger - the Court’s decisions place the burden on prosecutors to prove the unlikely — that a police officer who used lethal force did not “feel” threatened by a criminal suspect. Prosecutors do not bother to try, and investigations often result in justifying the use of lethal force. Prosecutors find it difficult to show that an officer might not have felt threatened at the time of shooting a suspect. This is contrary to using an “objective” standard, that is, whether a reasonable person might deduce that the use of lethal force was unjustified, looking back in time. What do you think are the possible ramifications of US Attorney General Jeff Sessions’ policy to limit federal investigation of police shootings and to reduce the monitoring of troubled police departments? How can this be counteracted? MC: Attorney General Sessions is making good on then candidate Donald Trump’s promise to support and protect police officers from federal interference. This has and will continue to protect police officers from prosecution for wrongful use of lethal force. The informed public and those who support the Black Lives Matter movement should continue to educate the public of how such failure to effectively investigate and prosecute wrongful and/or negligent use of lethal force is harmful to policing, harming new victims and their families, and putting police officers’ lives at greater risk. You cite the Danziger Bridge case as a rare example of police being prosecuted and punished for wrongful use of lethal force. How can the outcomes of that case be used to propel reform and protect the right to life of other would-be victims? MC: The lesson from Danziger is when a police officer uses lethal force, an independent, federal investigation must be conducted to ferret out whether the officer acted in a legally justified manner. While not perfect, such a process is a reasonable means to redress wrongdoing, protect life against wrongful acts, and promote proper policing. Such a process protects the lives of all people including those of police officers and especially of African-Americans. What do you propose as a new standard for police use of lethal force to ensure fair sentencing? MC: The current Supreme Court jurisprudence relating to police use of legal force wrongfully focuses on search and seizure analysis. I suggest a more appropriate standard should be based on the fundamental right to life, which is embedded in the US Constitution. This fundamental principle, the right to life, is established in The Fourteenth Amendment. It makes it clear that government agents, such as police officers, are prohibited from taking a life without due process. We live in a time where the death penalty is seen as morally and perhaps legally questionable. Consequently, it is unconscionable that we allow police officers to summarily take a life without redress. Effectively promoting your law review is the best way to increase readership and interest from prospective authors. Read on for new ideas about how to promote your volume. Minnesota Journal of International Law Editor-in-Chief Cayla Ebert and Lead Articles Editor Andrew Miles, explain why they think it's important for law reviews to start working on board transitions as early as possible. Are the copyright policies of some law reviews limiting the open access and fair use potential of legal scholarship? Brian L. Frye, Associate Professor at University of Kentucky College of Law explores.